1. 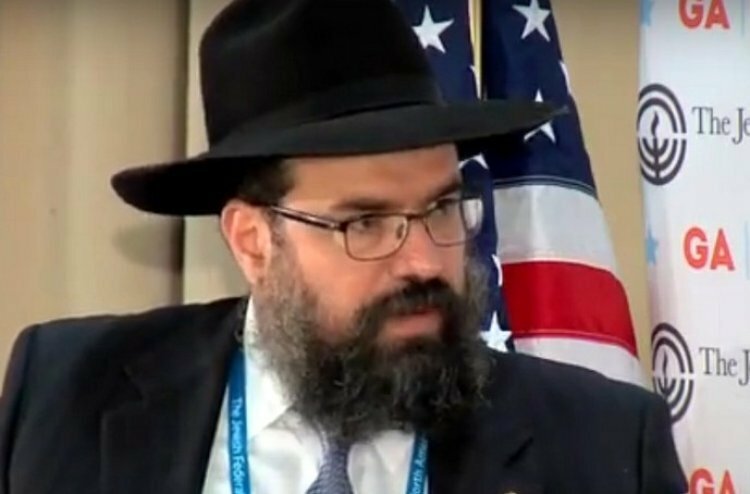 Rabbi Levi Shem-Tov is a Hasid of Chabad, lives in Washington D.C. and serves as the rabbi of the White House. He is married to Nechama (Feldman) and the father of 7 children. 2. “TheShul” where Rabbi Shem-Tov is Rabbi is in the center of the D.C. orthodox community. It’s a relatively small synagogue where averages of 50 worshippers pray on Shabbat. However during the Days of Awe, 250 worshippers pray there. 3. Over time Rabbi Shem-Tov’s reputation spread far and wide and despite the small size of the synagogue it it’s the preferred venue for prayer amongst many Jewish politicians including Joe Lieberman, Jack Lew and others. 4. Rabbi Shem-Tov generally hides from the limelight and prefers to work behind the scenes. This is despite the things his position entails that are quite worthy of mention like koshering the White House kitchen which he is responsible for. 5. Rabbi Shem-Tov doesn’t give public interviews pertaining to his synagogue in order to insure the privacy of his congregants and doesn’t publically talk about synagogue members or worshippers. 6. The media calls Rabbi Shem-Tov ‘The Rabbi of Capitol Hill’ or ‘one of the most beloved players in the capitol city’ or ‘one of the wisest politicians in town’ and more endearing titles. 7. Rabbi Shem-Tov supervises a large gamut of activities for the Jewish community in Washington D.C. including the public Hanukah candle lighting opposite the White House which is televised every year. It is a well liked ceremony even among non-Jews and in 2012 was viewed by more than 50 million(!) viewers in the U.S. alone. 8. For many years Rabbi Shem-Tov has maintained relationships with members of Congress including senior congress members and also has relationships with many heads of foreign countries. Rabbi Shem-Tov is also chairman of the committee that organizes the International Chabad Heritage Convention which creates interaction between Rabbis and influential international personalities. 9. Rabbi Shem-Tov founded the Capitol Jewish Forum, a large forum whose purpose is to create and improve the feeling of Jewish identity amongst Jewish Congress members. It enjoys support of the Senate and House of Representatives. 10. The apple doesn’t fall far from the tree. Rabbi Levi Shem-Tov’s father is Rabbi Abraham Isaac Shem-Tov who serves as chairman of the World Chabad Council and is principal of the Beit Rivka girls’ schools in Crown Heights.